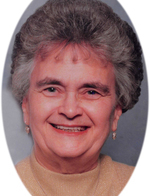 Margaret Fick View Condolences - Newport, Arkansas | Jackson's Funeral Homes Inc.
Condolence: To all the Ficks. I am so sorry about Ms.Margaret. She was loved by everyone in this town. She was one of the sweetest ladies I've ever known. She has an awesome family and I know all of you will miss her greatly. Prayers to all of you. Condolence: I'm so sorry for your loss.Prayers for peace and comfort during this difficult time. Condolence: I am so very sorry to hear of Nanny Margaret's passing. I still have many childhood memories of spending time at her house. Praying for you all peace and comfort during this time and for the road ahead. God Bless you all. Condolence: I am so sadden to hear of Mom/Nanny Margaret's Passing. I pray for comfort, love and God's guidance through this difficult time. So sorry I won't be in from TN tomorrow, but you are all in our hearts. God Bless.